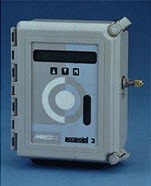 The Accupoint LP2™ is a microprocessor-based low pressure (5-100 psig) moisture transmitter. Whether checking moisture in bulk gas trailers prior to filling or measuring a sample stream after the process pressure reduction, the Accupoint LP2 delivers reliable moisture measurement. 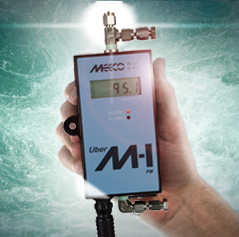 The M-i™ is the world’s smallest, lowest-cost absolute moisture monitor. Designed for on-line applications, the M-i measures from 0.5 ppm to 1000 ppm – over three orders of magnitude.